Intrinsic safety (IS) is a protection technique for safely operating electronic equipment in explosive environments. An intrinsically safe calibrator is therefore designed to be incapable of causing ignition in the surrounding environment, which may have flammable materials, such as gases, vapors or combustible dust in it. Intrinsically safe calibrators are designed for use in potentially explosive environments, such as oil refineries, rigs and processing plants, gas pipelines and distribution centers, petrochemical and chemical plants, as well as in pharmaceutical plants. The ATEX and IECEx certified 2nd generation of the Beamex MC2-IS intrinsically safe multifunction calibrator is a practical tool designed for field calibration and testing in explosive environments. Compared to the 1st generation, there is a new display with an LED backlight for improved display visibility in various environments. It also has a more powerful processor and an improved battery shelf life. The appearance of the 2nd generation MC2-IS has a stronger IS unit identification. As with the previous generation, the MC2-IS has calibration capabilities for pressure, temperature and electrical signals, and it connects to almost 20 available Beamex intrinsically safe external pressure modules. 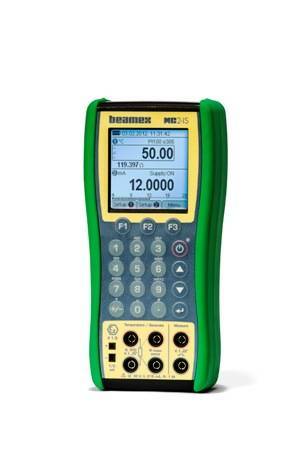 It is a compact-sized, lightweight portable calibrator with a multilingual interface and a complete numerical keyboard. Calibration with the MC2-IS is fast and simple. The launch of the 2nd generation MC2-IS improves Beamex’s already excellent ability to serve customers operating in potentially explosive environments, as Beamex currently has yet another intrinsically safe calibrator in its range, the MC5-IS intrinsically safe multifunction calibrator. Beamex is a leading, worldwide provider of calibration solutions that meet even the most demanding requirements of process instrumentation. Beamex offers a comprehensive range of products and services—everything from portable calibrators to workstations, calibration accessories, calibration software, industry-specific solutions and professional services. Through Beamex’s partner network, their products and services are available in more than 60 countries. Beamex has more than 10,000 customers worldwide. Beamex is represented in Australia by AMS Instrumentation & Calibration as their sole distributor.